Ford EcoSport 4x4 or 2x4 Vehicle. includes a single piece that fits over the bonnet's leading edge. Ford front Styling accessory to the vehicle. Great way to make the front end of your Ford EcoSport stand out. Contoured to the shape of the front of the bonnet. 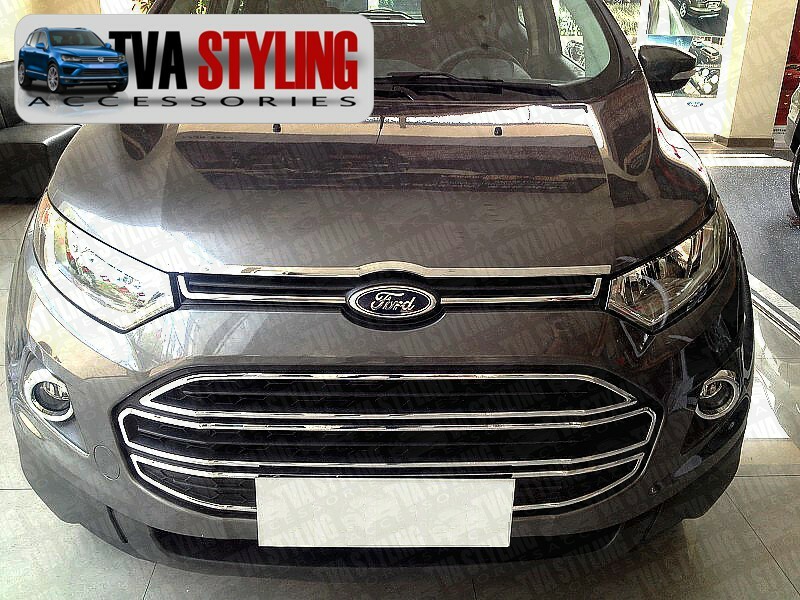 Manufactured to perfectly match the OEM chrome on other parts of Ford EcoSport. Will only fit EcoSport Model 2014-on. Click the button below to add the Ford EcoSport Chrome Bonnet Trim Hood Detail Streamer 2014-on to your wish list.